A69 JADE WATERFALL is a touch-less silica-infused spray sealant that is applied without needing to physically touch the auto with a towel. Simply mist the formula onto an already wet vehicle and then power wash off the excess to produce a glossy, smooth, highly hydrophobic finish that lasts up to 90 days. Use A69 Jade Waterfall after every wash as a drying aid! 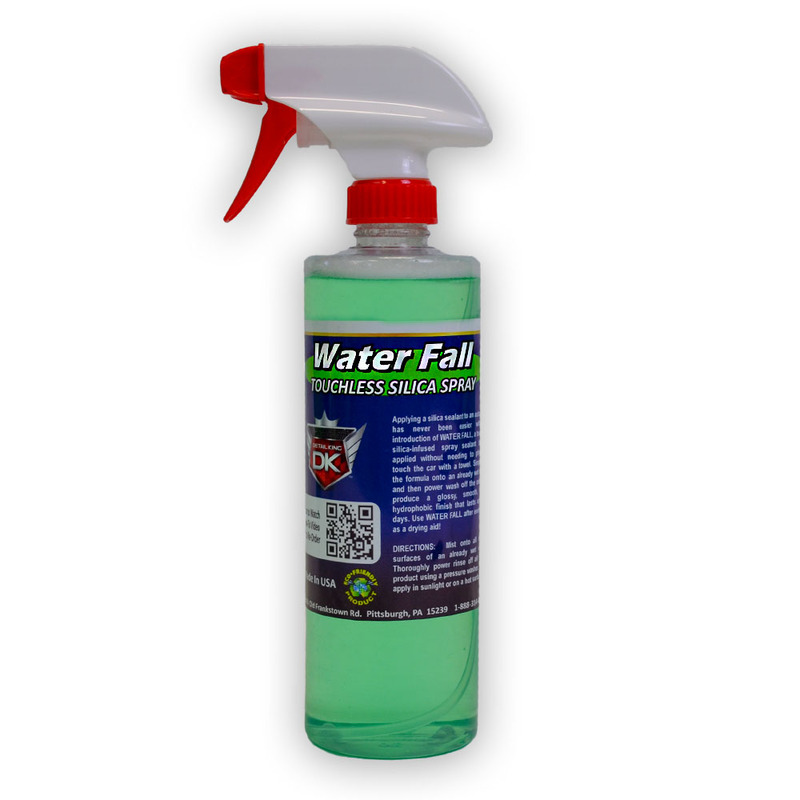 To use Water Fall Touchlesss Silica Spray be sure to leave the vehicle WET after you have washed it, then spray a mist of Water Fall to the wet painted surfaces. Once you have applied Water Fall to the surfaces now Power Wash and rinse the surfaces. Once all of the product has been rinsed off the surfaces you can dry the vehicle. This is an excellent way to maintain the ceramic coating and keep it looking great!